There are a million and one adventure apps out there that aim to make the outdoors more accessible to both beginners and to the more experienced adventurer but, unfortunately for us, there aren’t too many that are geared towards the Irish market in particular. There are plenty of generic apps for biking, hiking, running, sailing etc. (which we’ll focus on in future articles) but very few that focus, for example, on details for a specific area like sights along a Wicklow walk or the best route to take down a rapid on The Barrow river. With that in mind here is the first article in our series about useful outdoor adventure apps. I don’t know about you, but I practically live on my smartphone. If there’s an app out there that can make my life easier (or can pass few minutes on the jacks!) then I want it! 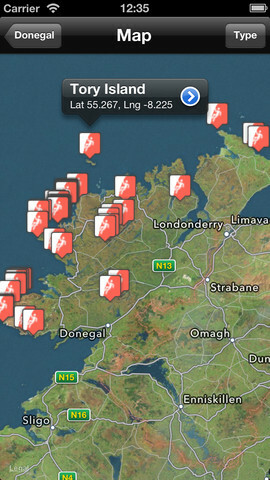 Enter the Donegal Rock Climbing App. 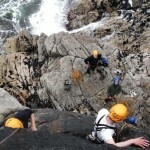 Ireland is awash with great climbing areas, but few compare to the variety and range that is available in Donegal. 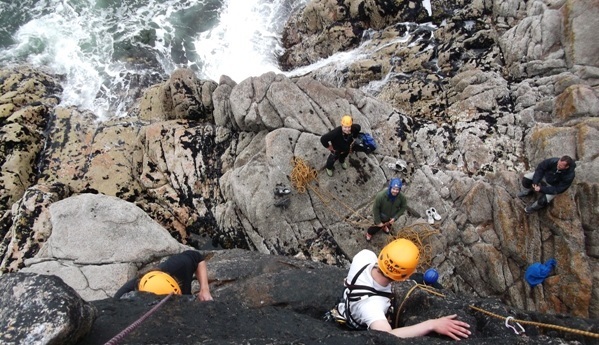 This app aims to condense years of Donegal climbing knowledge into a pocket size guide – and does so quite successfully – but with guides to over 1000 climbs all over Donegal its doubtful you’ll ever get to try them all! There are high res topographical images of every crag with each route drawn out for you to see. Swipe left and right to read an interactive and detailed description for each climb. Using the GPS in your smartphone the app can guide you to the exact start spot for each climb. It’ll even tell you where to park! The only thing it doesn’t do is first aid, so put your phone away before you start your climb! The app is accompanied by a series of excellent pdf guides that have been made available by Iain Miller of uniqueascent.ie. A must have app for any serious rock climber in Ireland – we just hope more apps like this are made available for other areas!